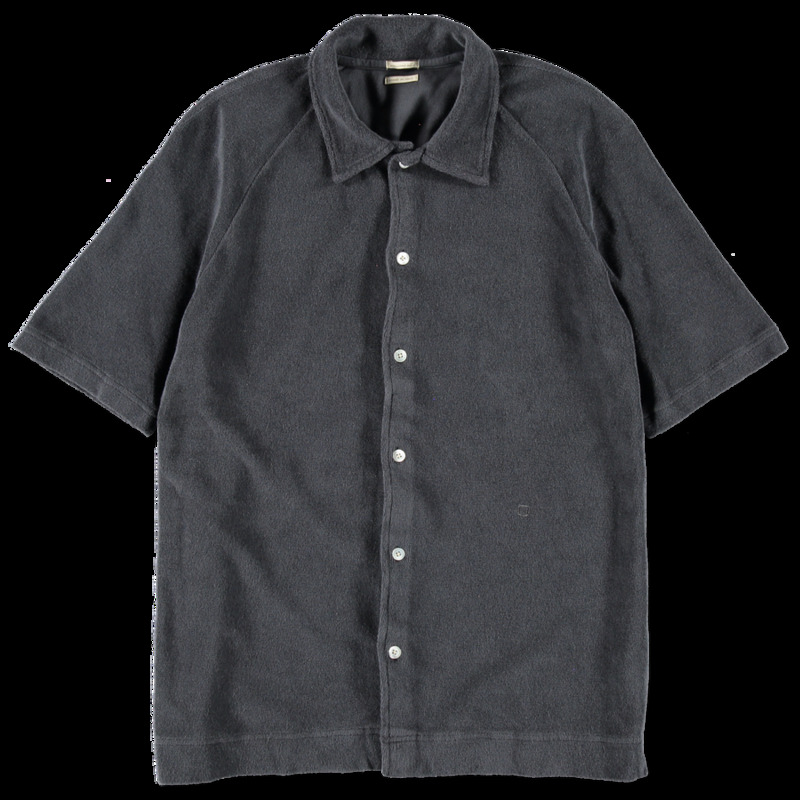 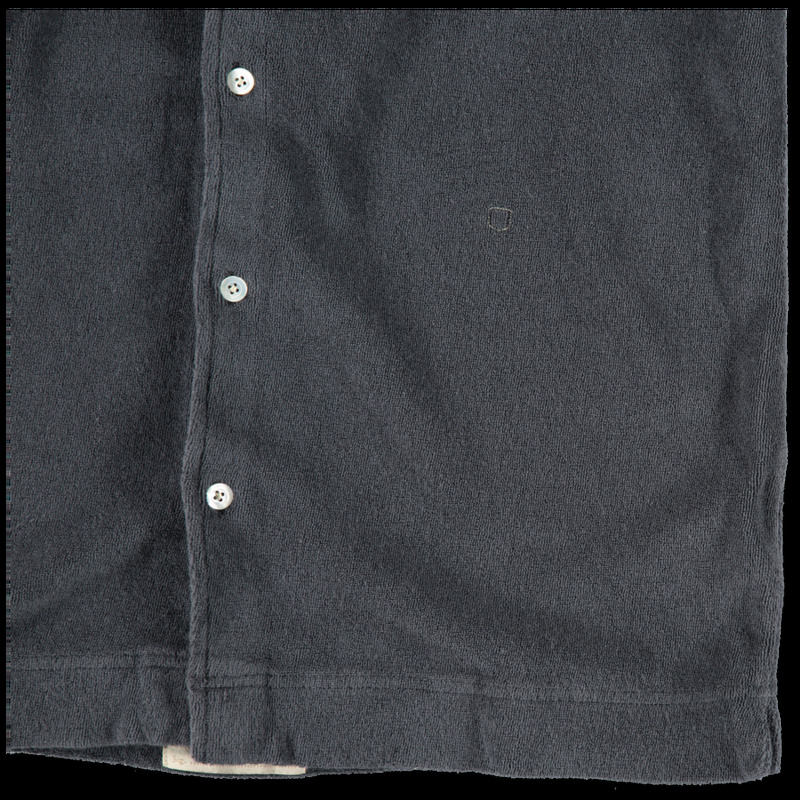 Short sleeve cardigan in a heavy cotton terry fabric. 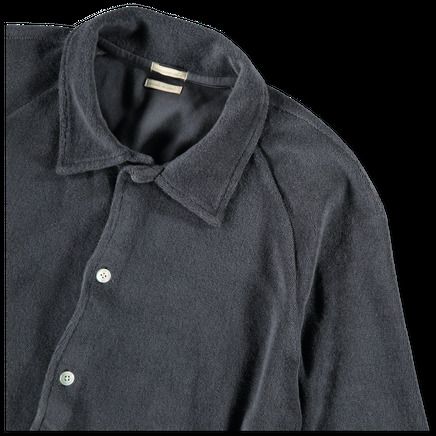 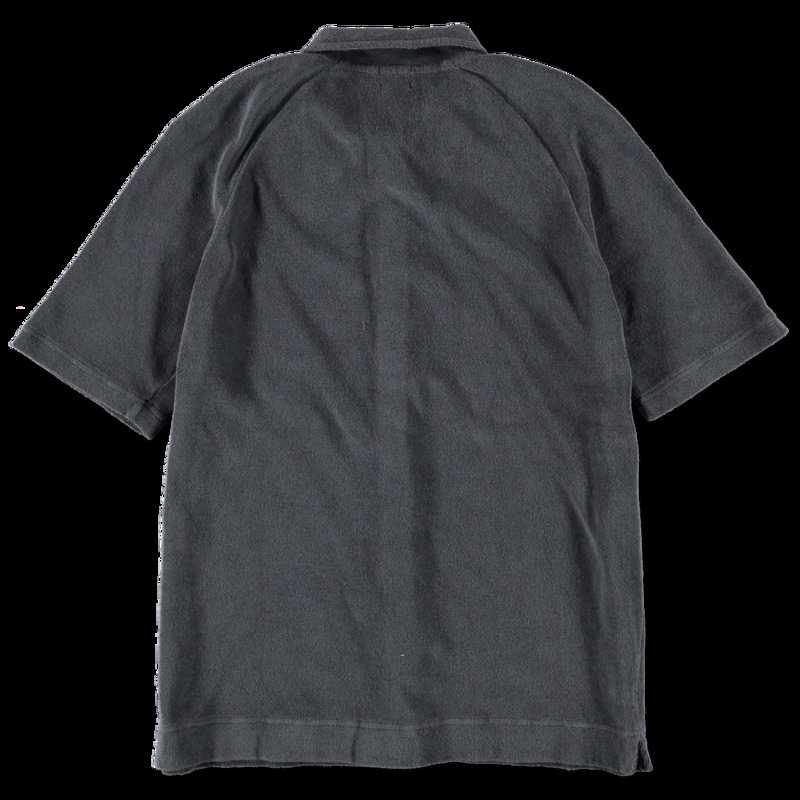 Pearl button placket, regular collar and long fitted sleeve. 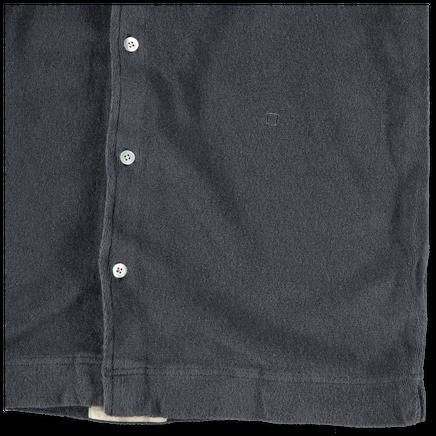 Straight hem with small side slits.